1. The 7 Habits of Highly Effective People by Stephen Covey: Having sold over 25 million copies, this book outlines 7 important habits that help individuals work together as a team and become more focussed, informed, and coordinated to achieve the business objectives. Habit 7: Sharpen the Saw: Principles of Balanced Self-Renewal. The book is jam-packed with nuggets of wisdom; but, there’s a particular chapter in Habit 3 that talks about time management, which we think is an area where many entrepreneurs struggle. As an entrepreneur, you may often find yourself wrestling with problems all the time. But how many of them are urgent and not important? And how do you differentiate between urgent and important tasks? 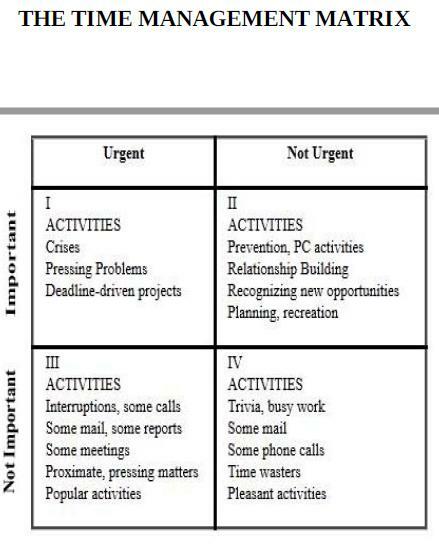 The time management matrix helps you better focus and prioritise your time on important things that really matter. 2. The 4 Disciplines of Execution: Achieving Your Wildly Important Goals by Chris McChesney & Sean Covey: A business is not about the CEO or the managers. It’s about each and every staff member executing the strategy at the level of excellence you expect. This book offers a roadmap on how senior leadership can execute their strategic goals by introducing these disciplines. The book suggests that “instead of hounding staff to do better”, how CEO and managers can manage the data better and keep a scorecard whether the team is losing or winning. From setting specific timelines for wildly important things to define daily and weekly measures, there are some practical gems of wisdom in the book. Instead of the conventional top-down accountability thinking, the book underlines the need for shared accountability wherein the team has a sense of accountability towards each other and not just the manager. 4. Good To Great: Why Some Companies Make The Leap...And Others Don’t By Jim Collins: The first chapter begins with a universal truth and that is ‘Good is the enemy of great’ Often businesses stop at being good — sales are good, customers aren’t complaining, and employees seem to be happy. These companies remain good but never become great. This research-backed book opens your eyes to some startling facts when it comes to good-to-great companies such as Technology and technology-driven change has virtually nothing to do with igniting a transformation from good to great. Technology can accelerate a transformation, but technology cannot cause a transformation.The good-to-great companies paid scant attention to managing change, motivating people, or creating alignment. Under the right conditions, the problems of commitment, alignment, motivation, and change largely melt away. 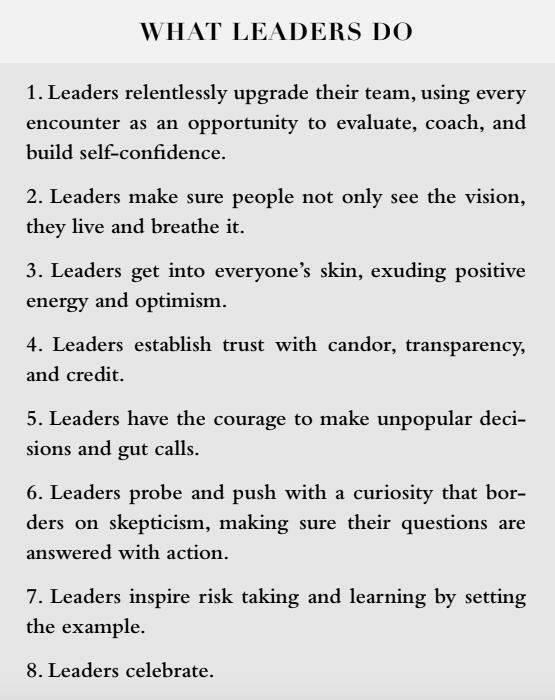 To make a good company great, you need leaders with certain characteristics. In the Chapter titled Level 5 Leadership, Collins tells you an interesting story about Darwin E. Smith, an awkwardly shy CEO with an iron will power, who transformed Kimberly-Clark into the leading paper-based consumer products company in the world. Collins describes Darwin E. Smith as a classic example of Level 5 leader who embodies all 5 layers of this pyramid. 6. Hire With Your Head By Lou Adler: Once you read Hire With Your Head, you will understand the difference between setting up a system to hire superior people and a system designed to simply fill in the positions. In the chapter titled Emotional Control, Adler explains why one should wait 30 minutes before making any decision about a candidate’s ability to do the work. It’s because first impressions based on superficial factors often result in hiring errors. ● Foundation: choosing a co-founder is like getting married. ● Ownership, possession, and control: People who legally own a company’s shares + who runs the company on daily basis +who formally governs the company’s affairs - everyone needs to work well together. ● Cash is not king + vested interests: start-ups don’t need to pay high salaries because they can offer something better, part ownership of the company itself. ● Getting the founding moment right. 8. Jack: Straight From The Gut by Jack Welch: Even before beanbag office culture became ‘cool’, it was Welch who cut loose the bureaucratic red tape and introduced a culture of informality at GE. In the book, Welch calls his leadership style ‘boundaryless’. By which he means letting others constantly know they are valued in the organisation. The book, an intensely personal story describing Welch’s journey in GE - from his early days in the company to him running GE.